CPAG’s 2018 Cost of a Child report shows what it costs to raise a child to age 18, based on what the public thinks is a minimum standard of living. The overall cost of a child (including rent and childcare) is £150,753 for a couple and £183,335 for a lone parent. A combination of rising prices, benefits and tax credits freezes, the benefit cap and two-child limit, cuts to housing benefits, bedroom tax and the rolling out of universal credit have hit family budgets hard. Life has been getting progressively tougher for families on low or modest incomes over the past ten years, with families on in-work and out-of-work benefits hardest hit. Even families with two parents currently working full time on the ‘national living wage’ are 11% (£49 per week) short of the income the public defines as an acceptable, no-frills living standard. For lone parents, even with a reasonably paid job (on median earnings) will be 15% (£56 per week) short of an adequate income because of the high cost of childcare. Many families – both in and out of work – get support from the social security system to help free them from the worst effects of poverty. Next year universal credit will be rolled out to everyone claiming one or more of the benefits it will replace. But the way the government plans to do this risks increasing hardship. For a start, the way the government wants the 3 million people affected to move onto universal credit puts all the risk on to the shoulders of claimants – many of whom are vulnerable. CPAG are asking MPs to persuade the government to change their plans. You can help by writing to your MP. CPAG have proposed an alternative system which puts the needs of claimants at the heart of the process, and greatly reduces the risk of families facing destitution. You can help them make the case for this approach by asking your MP to push for changes. MPs will have chance to debate these rules and vote on them, but they can’t make changes once they’ve reached parliament. So the time to act is now. Half of all children in the UK live in families who will receive universal credit when the rollout is complete. Can we ensure that these children don’t face hardship in the process of moving on to universal credit? Another week, another story about high levels of poverty in the UK. This time from the Social Metrics Commission who have developed a new measure of poverty. You might understandably ask whether we needed a new measure of poverty but bear with me, this one has a backstory. Back in 2010 the Labour Government passed the Child Poverty Act. It set in stone four child poverty reduction targets to be met in 2020/21. Fast-forward a few months and the incoming Coalition Government and think tanks such as Policy Exchange, set out concerns about the way in which poverty was being measured. The argument was that the previous government’s approach had been too narrow. Those making such arguments often undermined their position by referring to ‘the child poverty measure’, when in fact four measures had been adopted and sometimes by a simple failure to understand the difference between mean and median averages. Things came to a head in 2012 when the Government published a poorly written consultation on child poverty measurement. It was rightly panned. The government had reached a dead-end; critical of the measures as set out in the Child Poverty Act, but unable to set out an adequate replacement. Iain Duncan Smith scrapped the 2020 targets and, in their place, came a duty to report on levels of educational attainment and the number of children in workless households. Given that neither of these things are measures of child poverty, it didn’t exactly solve the problem of government having no meaningful measure or measures of poverty in place around which it could build a coherent strategy. The results were published last week, showing more than 14 million people, including 4.5 million children, are living in poverty in the UK. The new measure does some things the measures in the 2010 Act don’t, for example taking into account savings as well as income and looking at household outgoings. Whether this has all been worthwhile is another question. It is hoped that it will act as a catalyst for the Government to re-establish a meaningful agenda on poverty. Eight years have been wasted arguing about how poverty should be measured, and these arguments are part of the reason why there is a such a vacuum when it comes to government policy. Only radical steps to halt soaring child rates will have made the work of the Social Mobility Commission worth it. 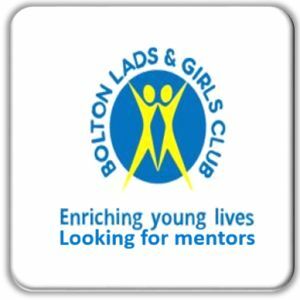 The Mentoring Service at Bolton Lads and Girls Club has been matching adults and young people for well over 20 years. The young people who are referred to the Service are identified as particularly vulnerable – they could be living in care, have a chaotic home and family life, and often live in poverty. 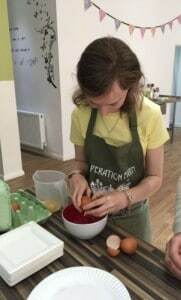 The Service matches volunteer adults with young people and they then meet once a week for a year in order to spend quality time together. 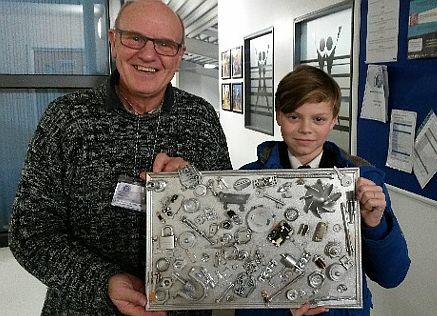 The Mentors’ primary function is to listen and support the young people, and very often find that their young person will want help with a specific task; for instance, homework, tackling anxieties, anger issues or to become more confident. We get great results from our matches and find that the young people improve their self-confidence, self-expression and resilience. The Service aims to empower and equip young people with the skills and confidence they need to lead more positive and successful lives, and to ultimately help towards tackling the negative effects of the poverty in their lives. In 2008 the UK was experiencing falling poverty rates, the number of people sleeping rough was less than half of what it is today and those of us who had heard of food banks thought of them as an American not a British phenomenon. target, and complementary targets set out in 2010 Child Poverty Act, have been scrapped and an extra one million children are expected to fall into poverty in the next few years. The lack of a central government anti-poverty strategy means that policies are introduced without their impact on poverty rates being considered. Opportunities to meaningfully address poverty through positive measures, such as extra investment in childcare or increases in the minimum wage are missed as other policies, such as cuts to benefits, actively work against them. The lack of a strategy has meant the UK has completely missed the opportunity to harness positive labour market developments. Jobs growth and reductions in the number of people in low-paying work should have resulted in falls in poverty and increases in living standards. This isn’t just about headline rates of poverty. Policymakers need to understand both the changes in levels of poverty and the risk of poverty among different groups of the population, if they are to develop, adapt and amend policies aimed at tackling the issue. The make-up of poverty has also changed considerably overtime. The risk of poverty for single-parent households, for example, has fluctuated over the last thirty years. Working households now make up a greater proportion of those people experiencing poverty compared to twenty years ago. Families with more than two children have always been at greater risk of poverty, but the level of risk for those families is growing. Recent analysis published by Child Poverty Action Group has identified a worrying trend as poverty in the UK becomes more entrenched. Analysis of the ‘poverty gap’ shows that families in poverty are now living, on average, further below the poverty line than they did ten years ago. This development is highly concerning, with huge swathes of families at risk of being cut adrift way below the poverty line. It is also a significant shift, as the UK has tended to have relatively high levels of child poverty but a low ‘poverty gap’, with lots of families in poverty but with incomes just below the poverty threshold. New experimental analysis by the ONS looking at expenditure poverty (as opposed to income poverty) further illuminates our understanding of the issue. There is an abundance of data and information about poverty – the UK is ‘data rich’ – but there isn’t the necessary strategy in place nationally to respond to what this data tells us and to ensure policies drive down rather than drive up poverty. Without a clear strategy capable of dealing with these developments, the UK’s poverty crisis will only get worse and the cost of dealing with it in the future will only get greater. Among the twenty parliamentary constituencies with the highest levels of childhood poverty, seven are located in London, three in Birmingham, and three in Manchester. Today is the first day at school for about 35,000 children across Greater Manchester. 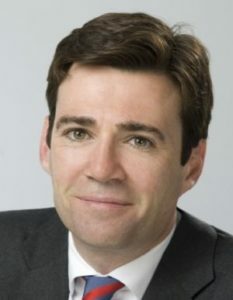 Last week Andy Burnham, the Mayor of Greater Manchester, set out his plan to focus on early years and ensure that children have the skills and support they need to do well at school. Despite improvements across Greater Manchester, the city region still lags behind the national average when it comes to the proportion of children who are ‘school ready’ (the government’s measure of whether children have certain basic skills when they start primary school). The evidence suggests that improvements in school readiness aren’t evenly spread across different households, with children from low income households still much more likely to lack basic skills when they are four and five. GMPA welcomes the Mayor’s focus on this agenda. A collaborative and joined up approach across GM can ensure that childcare providers, schools, parents and other stakeholders can work together to ensure children in our city region get the best start in life. There are already examples of good practice within and outside GM, and GMPA would like to see more being done to ensure local authorities and others are able to evidence and promote good practice. This extends beyond a focus on early years, to wider family and child poverty strategies and initiatives. Too often, good practice in one part of the country remains under the radar or, where there is awareness of it, can’t be replicated in other areas due to lack of funding. Fostering a culture of good practice sharing and replication in GM would help the Mayor achieve his aim of illustrating to the rest of the country how public services delivery can be done in a more joined up and preventative way. Rises in the cost of living will outstrip meagre increases in child benefit by 17 times by 2020, a new report from the End Child Poverty coalition has revealed. The coalition’s “Feeling the Pinch” report shows that reductions in the value of benefits, relative to costs of living, are likely to leave a family with two children living in poverty, worse off by as much as £2800 per year by 2020, compared to the start of the decade. In addition, analysis shows that a family in a typical privately rented two-bedroom property could also have a rent shortfall of around £154 a month by 2020, after a four-year freeze on housing benefit. At the same time, families in poverty often have to pay more for essentials, despite being least able to afford them (known as the ‘poverty premium’). 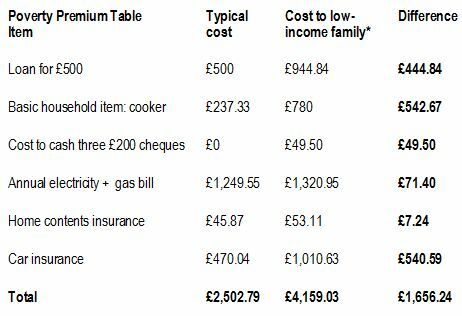 Essential household items like a cooker, energy and home insurance are likely to cost a family living in poverty nearly £1700 more than a higher income family would have to pay. 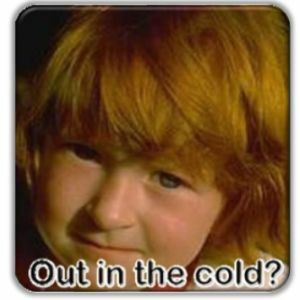 The coalition is warning that the disconnect between increases in financial support and those in the costs of living, together with the poverty premium, is leaving many families struggling to buy food for their children, or heat their home in winter. 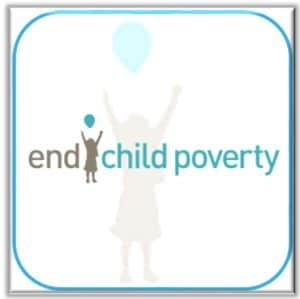 End Child Poverty is calling on the Government to take action by ending the current four-year freeze on children’s benefits, by increasing help with housing costs in line with local rents and also by establishing a commission to explore how businesses can ensure that customers on a low income don’t end up paying the highest prices for goods and services. The coalition’s analysis shows that in April 2010, benefit income for an out-of-work single parent with two children (excluding housing costs) was around £198 per week. In order to keep up with the rise in the cost of living by 2020, this would have to increase to around £267 per week. The family’s actual 2020 income is expected to be around £214 per week. The real loss of £53 per week will leave this family worse off by nearly £2,800 a year. Where private tenants’ rents have risen between 2010 and 2015 in line with average rental price inflation (a total of 11.7 per cent over the five-year period), a family renting a typical two-bedroom property in 2015 faced a shortfall of £82 per month on their Housing Benefit entitlement, compared with their actual rent. In 2015, the new government decided to freeze local housing allowance rates for four years – from 2016 through to 2020. If actual rents rise by another 11.7 per cent during the second half of the decade, families in a typical two-bedroom property could see the shortfall increase by £72 per month – a total shortfall of around £154 per month. calculation, but are explored further in the full report. 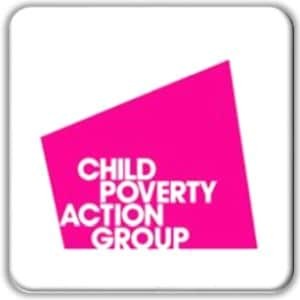 As you may recall in November 2016 End Child Poverty published a Child Poverty map of the UK which clearly showed that parts of Greater Manchester were some of the worst affected by child poverty. children in poverty in 2015 and Manchester Gorton, and Blackley & Broughton were also in the top 20. “In the week we heard the Government is shelving its life chances strategy, we now know more children are facing the harsh reality of growing up poor in the UK today. There are 200,000 more children in poverty than the previous year – but the overall trend is even more worrying. “These grim figures reinforce projections from experts like the IFS and the Resolution Foundation that UK child poverty is set to rise by 50 per cent or more by 2020. “Our children cannot afford for the Government to be distracted by Brexit and lose control of child poverty. “A decade ago, when David Cameron became party leader, he promised that under his leadership his party would measure and act on child poverty. It’s a tragedy that we are now talking about rises in child poverty not falls. It’s also hugely depressing that at a time when we’re seeing rising child poverty the Government has passed legislation that eliminates its target to reduce child poverty, or even to report on the progress it is making. “Child poverty isn’t inevitable – the Government needs to invest in our children so we can all share the rewards of a stronger economy and a fairer society. Poverty is often thought of in simple financial terms but without worrying first about an individual’s access to money, groups of people can find themselves marginalised, without opportunity and facing big disadvantages to being involved in society at all. GMPA is in Tameside to visit People First Tameside, an organisation working with local people with learning disabilities. Three people in every hundred will have a learning disability, and they are likely to have difficulty with everyday activities and struggle with the same things the rest of us take for granted: understanding information, managing money, living independently, making and sustaining friendships and relationships, and finding and maintaining work. This makes it hard for them to join in with the community, and a vulnerable target for abuse and manipulation. 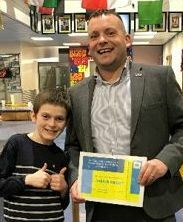 One tragic story is that of the death of David Askew, a cherished and much loved individual member of the People First Tameside community who suffered bullying and abuse for most of his adult life from generations of families around where he lived. David eventually died of a heart attack in 2010 after youths had made another attack on his family home, and the following police investigations into David’s case made national headlines: over 26 young people were involved and one person was given a prison sentence. “It’s really about tackling disadvantage and inequality”, says Liz Wright, People’s First Tameside manager, “because people with learning disabilities want the same as everyone else. A loving relationship, friendships, good food, travel, to have fun and laugh, to have opportunities in life”. 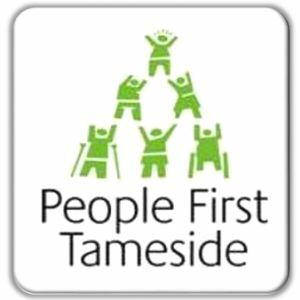 People First Tameside puts people with learning disabilities as central decision makers in the organisation. Where other organisations might describe ‘service users’ for those engaging with their services, here any person with a learning disability that comes through the doors is a ‘member’. All members vote for which of them should be on the Committee, which then makes the fundamental decisions about where to spend the money, which staff to employ, and what activities to pursue. Craig, for example is Secretary and ‘does all the paperwork, typing up the minutes’ while Jenny the financial officer jokes, “I pay the staff”. The model of total inclusivity moves away from the old almost Victorian model of isolated, top-down and directed care, where people with learning disabilities were looked after in separate institutions, shut up, locked away from ordinary society. “People don’t want others feeling sorry for them”, says Liz, “people want to be part of their community, to be respected and have the same opportunities in life”. And here, they are very much part of the community and they design the resources and help to be able to best integrate with wider society. Several members laugh with pride announcing that “I am part of the furniture”, a wonderful way of expressing a sense of belonging to a community that isn’t simply short term and will be gone tomorrow. Core to the services then offered by People First Tameside focus is the “Our Way, Our Day” service, where special one day events and workshops are organised for members to enjoy. GMPA joins People First Tameside for a BBQ, where groups are chopping onions, preparing kebabs, wrapping bananas and chocolate in foil to go on the grill. Terry plays music as the DJ, and there is a lot of laughter and friendship between everyone. It’s a happy space, and members are easily enjoying themselves. Planned activities include trips to the local nature reserve, arts and crafts days, visits to the National Football Museum, bowling, and trips further afield, to Blackpool for example. Added to the “Our Way, Our Day” is a simple social club and drop in, where members come to relax and spend time with their friends, or ask the staff for help with a letter, for relationship advice, for support to feel safe. 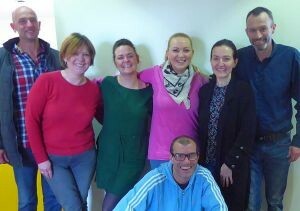 People with learning disabilities often face disadvantages and stigma, whether in accessing services or directly experiencing hate crime, and this has led to Disability Awareness Training being a central pillar in People First Tameside provision. GMPA attended a practice session for the Disability Awareness Training, later to be given in a school. A Powerpoint presentation is projected onto a big wall and members take it in turns to present each slide to the group, reading the content. There is a passion in the room as members talk about their own personal experience of hate crime and vulnerability. The aim of the training is to raise awareness in schools, targeting our next generation of young people giving them positive messages around disability and difference, with the hope that they will become a much more aware and less likely to discriminate against others for being seen to be different. 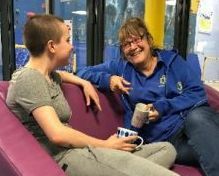 There is another crucial pillar to the work of People First Tameside too, “My Life, My Way”, which is bespoke one-to-one support for members around their personal needs and desires and designed specially to help them flourish. This helps individuals into employment, such as Denzel who now has a job two days a week as a cleaner. Through all of this work, it is clear that the people with learning disabilities are put centre stage, empowered, and given opportunities to become full members in society. 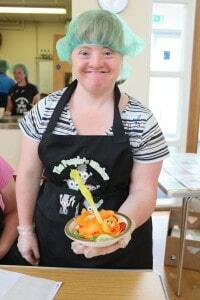 “It is the most simple things, sharing a meal, passing the salt, going to the pub or sharing a bottle of wine that people with learning difficulties often have no access to” explains Liz, adding “just because you have a disability, it doesn’t mean you have to miss out on life”. Banana Enterprise Network is a UK registered charity, doing things differently in a caring and supportive way! We set up for a specific social purpose and ultimately aim to reduce poverty. We are based in Salford. Our founder and CEO Jayne Allman created the service after identifying a gap in service provision specifically for unemployed or low waged people of all ages, in our community. Our unique and supportive service is specifically tailored to the needs of people who consider themselves disadvantaged in some way because they are struggling to find suitable employment or have low income. We work at grass roots level, in partnership with carefully chosen, highly respected organisations along with DWP, local community centres, housing providers and work clubs for example. We empower people with essential skills and knowledge, helping to remove barriers they face, so they can confidently make an informed choice as to whether to take their first steps into exploring the idea of self-employment (or start a business). We also help people who don’t have a business idea yet, to build on their skills and strengths, work on the essential skills they need when running a business and help them identify potential ideas for self-employment. Time to explore and build knowledge and skills – We help to build confidence and resilience and we provide “hands on” customer-led support and training in a non targeted way and with no time pressures – just great support from people who care! We don’t rush things here – we make sure people are ready to take on the world of self-employment and are resilient enough to cope with the ups and downs of self-employment and have the support network in place to survive in business!. We don’t just “tick” boxes and move on to the next client (like a lot of organisations) – we are here for our clients whenever they need us (we work 7 days a week)! We plug a gap in provision by offering our unique first steps towards starting a business, which helps people to prepare for the journey ahead! For many of our clients who have been unable to find work, exploring the idea of self-employment can offer hope, increased self-esteem and confidence and ultimately, provide themselves with a route out of hardship. Discuss the routes out of poverty and decent work with a good wage will always come high on the list. Businesses offer many people these opportunities, and for many people, starting their own business is a step towards realising their dreams. At a national level, small to medium sized businesses count for about 50% of the UK’s GDP, and of the 5.4 million businesses in the UK, 95% of them were micro-businesses1 (employing 0-9 people). This rate is lower in Greater Manchester, at 81% of total businesses2, but the point remains the same. The economic engine of the nation is driven by small businesses, reducing unemployment and tackling poverty as they do so. So important are small business to the Government’s economic vision that it offers a programme called ‘New Enterprise Allowance” which provides a weekly allowance over a period of 26 weeks (£1274 in total) to help individuals on benefits to start their own business. GMPA has come to visit Jayne while she delivers a Banana Enterprise Network Introduction to Self-Employment course. We’re in a smart room filled with light at Langworthy Cornerstone, a new build community centre in Salford. Each place around the table has an information pack about the course with a banana on the top. Banana Enterprise Network offers training in essential skills and knowledge, removing barriers individuals face when they consider self-employment. 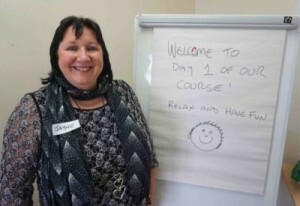 Jayne is passionate about it and once the attendees for the course have arrived, she begins by saying “starting your own business is easy isn’t it? We all want to be the next Richard Branson”, then Jayne takes the group through an icebreaker exercise which demonstrates the many barriers facing aspiring entrepreneurs, such as lack of finance, lack of knowledge and business skills and lack of confidence. During the introductions, it’s clear that most of those attending are receiving benefits. The course content, which covers everything from generalities such as what an entrepreneur is, to specific principles of accounting and designing a business plan, is made easier and more accessible by Jayne’s encouragement. The warming combination of direct no-nonsense ‘this is the hardest thing you can do’ and inspiring anecdotes showing how the support and training can really make a difference leaves the room on the edge of their seats. It’s no surprise the course attendees quickly participate, sharing their own stories, making jokes – this is learning in action. As the course progresses, we turn to our packs in front of us. The very first section is called, Your Current Skills and Knowledge Level. It asks people to score from low to high their understanding about subjects such as ‘what self employment involves’, ‘what a business plan is’, ‘budgeting skills’ and ‘what a cashflow forecast is’… At the beginning of the course, many people are circling low numbers (indicating ‘you don’t understand’) across the many questions. By the end of the course, people are circling high numbers – between 8 and 10, showing a huge boost in confidence that they ‘understand completely’ and the evidence for this improvement is in the course content. The second day of the course puts attenders into the thick of it. Learning about how to market a business, they look at FROGS (Friends, Relatives, Organisations, Groups), with Jayne noting that “the official return from flyers is 1%”. The group discuss legal structures, such as sole traders, limited companies and partnerships, before turning to their homework, based on a designed cashflow for their start-up. Jayne leads the discussion about bookkeeping and pointing to the number marked ‘Total’ on the powerpoint presentation, she adds, “It all comes down to this number here. If it’s black, we’re good. If it’s red, we’re in trouble”. Banana Enterprise Network is clearly very inspiring. When asked why ‘Bananas’, Jayne says bananas give you energy, they support mental health and are always thought of in a positive way. Attendees learn, improving their confidence by participation and by hearing the true stories of businesses, some have failed, some have succeeded. It’s also undeniably fun, we had a good time. Banana Enterprise Network is part of a wider story GMPA is seeing across Greater Manchester. They play a vital role as a connector by working with people whose current levels of engagement are so low that they feel excluded from accessing services designed to support them. Where applications to the Government’s New Enterprise Allowance Scheme are rejected because prior knowledge is too low, there’s a real contribution to be made encouraging a first layer of support for the individuals who want to be entrepreneurs. Banana Enterprise Network then fills in missing steps on the business ladder, it creates a social glue between the individual, their business and the state and that is a vital contribution in the mission to tackle poverty.